After the grit and grime, the best way to cap off an epic outdoor adventure is with a little well-deserved pampering. Southwest Virginia offers the best of both worlds—it’s an outdoor lover’s paradise brimming with adventure, from mountain-swaddled lakes to wilderness-cloaked trails to cloud-splitting summits with plenty of epicurean delights, engaging cultural heritage, and cozy places to spend the night. Here’s just a sample of how to spend an adventurous weekend in Southwest Virginia while still enjoying the good life. Begin your adventure infused weekend in Abingdon. Once one of the last outposts on the Great Wilderness Road for settlers headed to the frontier, the 250-year-old town has a long history of welcoming travelers. For breakfast, peruse the sizeable Abingdon Farmers Market (Saturdays from April to November; 8 a.m.-1 p.m.), where you can grab both indulgent pastries and pick-up picnic fixings for lunch. Head to Zazzy’z Coffee House and Roastery for a quick caffeine infusion, or fuel-up with a healthy brew at the White Birch Juice Company. Next, choose from the smorgasbord of Southwest Virginia adventures on tap and easily accessible from Abingdon. 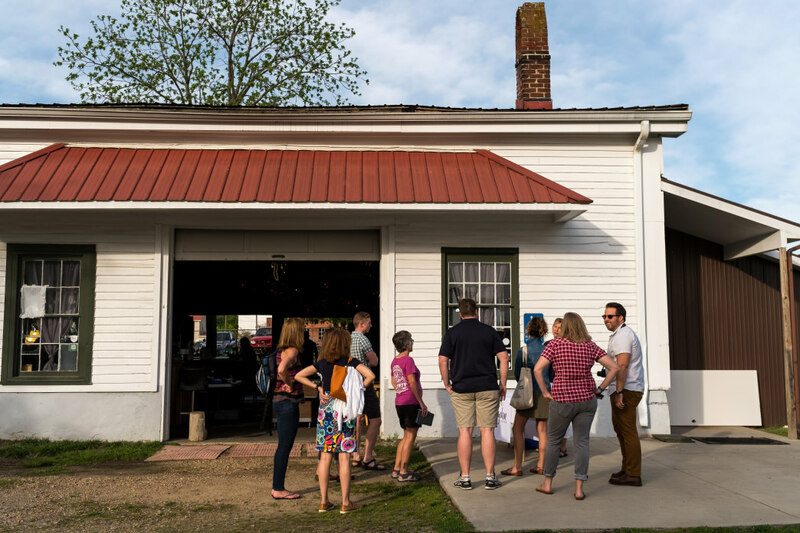 For a quick hike, ride, or run—without even leaving town—head for the trailhead for the 34-mile Virginia Creeper National Recreation Trail, in the heart of downtown Abingdon. The nationally recognized rail-trail was once a thoroughfare for the supply-laden locomotives huffing through mountain-rippled Southwest Virginia en route to North Carolina. Rent a bike or arrange a shuttle at the Virginia Creeper Trail Bike Shop, just steps from the trailhead. Then, pick your adventure from Southwest Virginia’s backcountry buffet. Head for Grayson Highlands State Park, where hikers can hop on the Appalachian Trail and head for the high country of Mount Rogers National Recreation Area, touted by thru-hikers as one of the highlights of the entire 2,190-mile footpath. 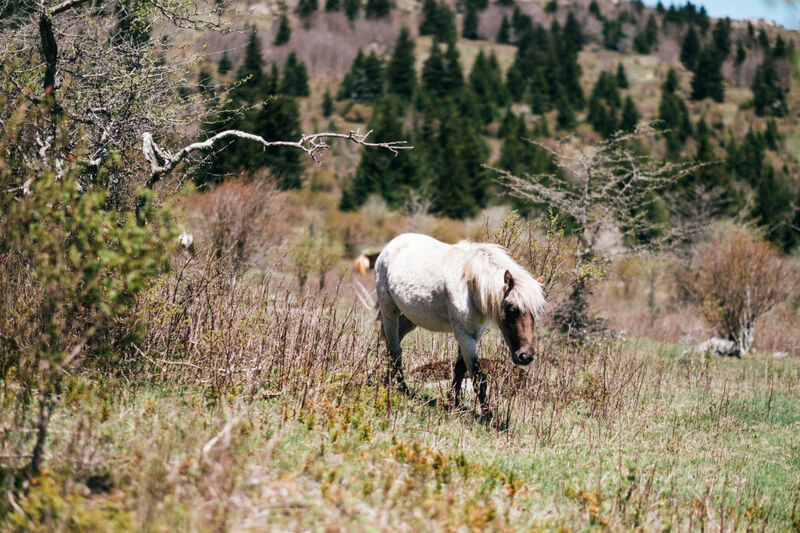 You’ll find roving ponies graze alpine meadows in the shadow of Virginia’s highest summit. Rather climb instead? Grayson Highlands is the state’s premier bouldering destination, with scalable formations scattered throughout the park offering more than 1,000 problems to tackle. Mountain bikers craving singletrack can hit the 2.3-mile Wilburn Branch Trail or the park’s portions of the 52-mile Virginia Highlands Horse Trail. Rather spend a day on the water? Scope out Southwest Virginia’s mountain-cradled lakes. In nearby Marion, Hungry Mother State Park offers 108-acres of forest-fringed flatwater to explore—and when you need a little time on dry land, hit the 17-miles of trails ringing the lake. Or head for the secluded, 300-acre Laurel Bed Lake, which sits at a celestial elevation of 3,600-feet in the upper reaches of the Clinch Mountain Wildlife Management Area, the most biodiverse spot in the state of Virginia. When you are ready for some rest and relaxation, head back to Abingdon for some well-deserved pampering. 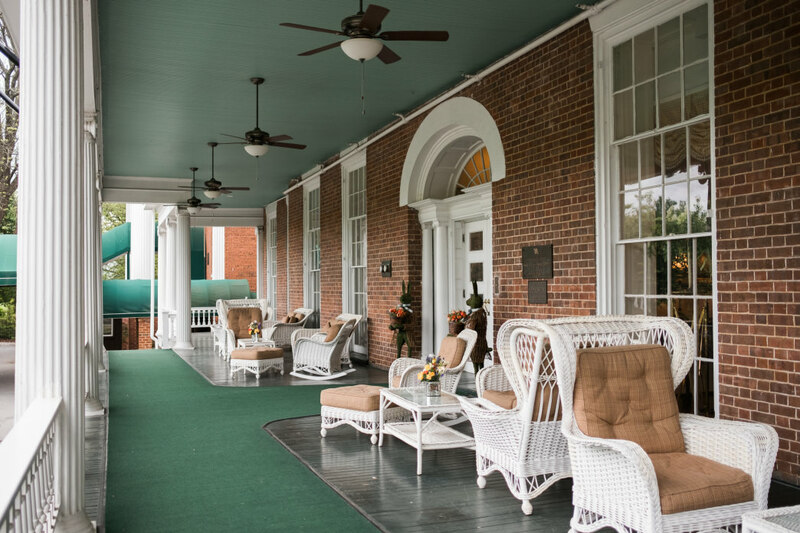 Drop your bags at the elegantly luxurious Martha Washington Inn and Spa, and head for the glasshouse enclosed saltwater pool or soak in the expansive, two-tiered hot tub. Cozy up on one of the overstuffed barstools at the hotel’s Sister’s American Grill and don’t forget to swing by the front desk for the inn’s token final nightcap—a "goodnight" glass of port. Rather hit the town instead? Mosey over to the Wolf Hills Brewing Company for a pint. The taproom offers an array of flavor-loaded brews, and the place is named for the lively local legend about Daniel Boone’s encounter with a roving wolf pack near Courthouse Hill, now the heart of town. Take a stroll down Main Street to The Tavern Restaurant. Built in 1779, the Tavern is housed in one of the oldest (and purportedly, most haunted) buildings in town. It has served as everything from the first post office on the western side of the Blue Ridge Mountains to a Civil War hospital. Charcoal-etched bed numbers still adorn the attic walls. Today, the establishment serves up elegant cuisine, including German-inspired fare, and boasts a lengthy libation list. Hit the road and head for the nearby town of Norton, just an hour from Abingdon. Swing by the nostalgic, jukebox-bedecked Corner Diner at the Inn at Wise for a tasty calorie-infusion before beginning your day of outdoor adventure. After breakfast, head for the forest-cloaked mountains soaring above town to hit the newly carved, 8 miles of singletrack lacing the Flag Rock Recreation Area, which overlooks Norton. Mountain bikers will find trails catering to both seasoned riders and newbies. The gorgeous sweep of land is both a pristine playground for outdoor lovers and sanctuary for rare species—including globally rare green salamanders and, allegedly, a Bigfoot-like critter called the "Woodbooger." Head slightly further afield to the High Knob Recreation Area of the Jefferson National Forest, which was built by Franklin Roosevelt’s Civilian Conservation Corps in the 1930s. 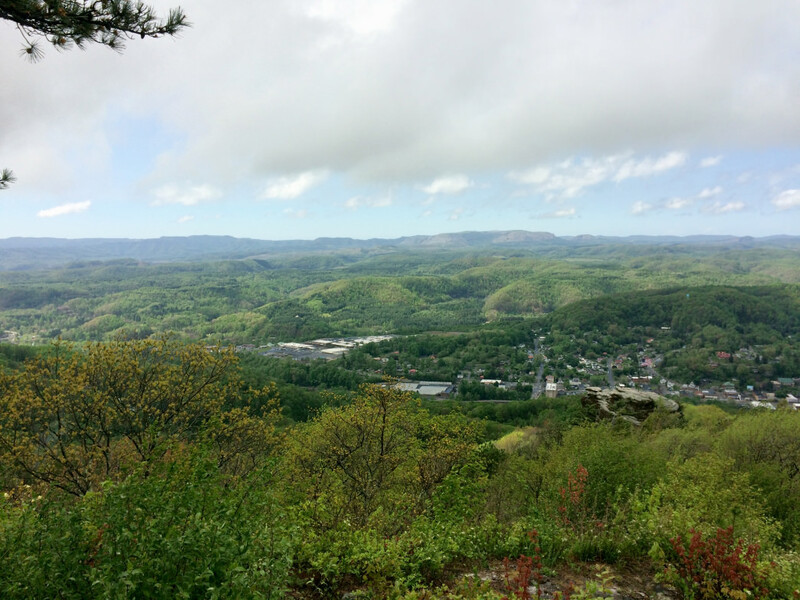 If the skies cooperate, hardy hikers can revel in a view encompassing five states and the region’s loftiest peaks from the observation tower crowning the recreation area. For a more mellow but equally scenic hike, run, or ride, head for the stunning 5.8-mile Guest River Gorge Trail. The trail, constructed from a converted railway bed, hugs the Guest River as it charts a course through Stone Mountain, showcasing the 300-million year old rock formations and ribbons of forest frequented by flycatchers, tanagers and warblers. Or, use the Guest River Gorge Trail as a portal to the Heart of Appalachia Bike Route. The 128-mile road-mapped route meanders all the way to Burke’s Garden—a 10-mile crater aptly nicknamed God’s Thumbprint. Cap off the day in comfort back at the century-old Inn at Wise in Norton. Reminisce about your day on the trail over craft brews at the inn’s cozy basement pub, and tuck into a spread of Southern-inspired comfort food, like fried green tomatoes or chicken and waffles. After dinner, you can decide for yourself if the colorful tales of the inn’s lingering ghostly guests are genuine. Originally written by RootsRated for Southwest Virginia.